Representatives of US, European Union, Russia and China met in a quadrilateral meeting at Washington DC on Friday, regarding the Afghan peace process. 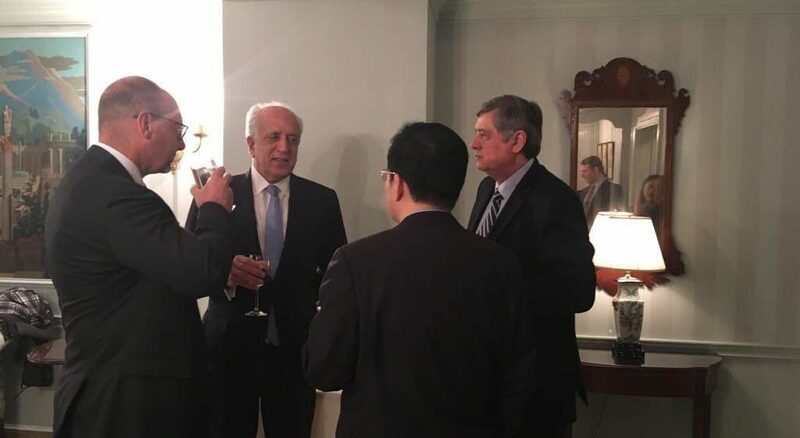 US Special Representative Zalmay Khalilzad tweeted that he welcomes the “robust interest” of the other representatives in Afghan peace process. He clarified that “we respect Afghan sovereignty, want peace for all Afghans and seek an Afghanistan that is never a source of threat for any of us”. The quadrilateral meeting comes after the US officials had extensive talks with Taliban representatives in Doha, Qatar. It has been announced that certain issues for the draft peace deal have been reached upon, but crucial issues like involving the Afghan government and some other matters remain to be negotiated on.